The Shelter Care program is a short term assessment and evaluation program for adolescent boys, lasting 30­-90 days. The purpose of this program is to evaluate the youth’s current personal and environmental situation, and then provide recommendations for what type of intervention may be most effective for the youth and family in the future. Shelter Care staff support youth and families as they strive to prevent deeper immersion in the juvenile justice system. The Shelter Care program supports youth and families in developing and practicing skills that will guide them to achieve their individualized goals and ultimately reach their full potential. The program provides individual, group and family counseling by licensed therapist during their stay. Youth are also involved in a broad range of skill building groups that are strength-­based and trauma-­informed, which help them acquire and practice important skills. The program also provides drug and alcohol counseling on site for youth who require it. Youth in the program attend an onsite alternative school in partnership with Canby School District and participate in educational enrichment activities that encourage the development of new interests and passions, while building self confidence. 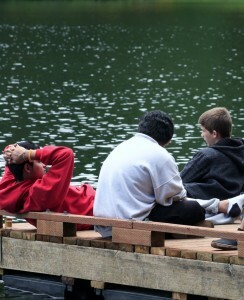 This program is exclusively for male youth, ages 13 to 18, from Clackamas County who have had some involvement with law enforcement ,but are still in custody of their caregivers. Working closely with the Clackamas County Juvenile Department, staff help youth successfully rejoin their families and remain in the greater community. For more information about the Shelter Care program, please contact Neil Davies, Residential Director, at email or 503-­266-­3050.